The cultural and professional education of the master is particularly interesting. 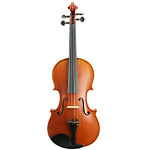 He initially worked as a wood carver and engraver; he learned the art of violin making later on in life. He worked as a wood carver during the 1940s and continued in this role until the beginning of the 1950s. In the same period Bissolotti studied music and violin, and he became an excellent amateur violinist. In 1957 he enrolled in the Cremona Violin Making School which he attended for four years. He studied under Master Pietro Sgarabotto. Sgarabotto's work was not very refined, but it was decisive and demonstrated strong personality. Bissolotti maintained a relationship of mutual esteem and friendship with Sgarabotto until the death of his old master in 1990. In the early sixties, the Milanese violin makers Ornati and Garimberti alternated in teaching a restoration course held at the violin making school. The course was interesting and instructive, as these makers were great craftsmen with extensive experience. Bissolotti has always considered it a great fortune to have studied with them, and remembers his teachers with fondness. 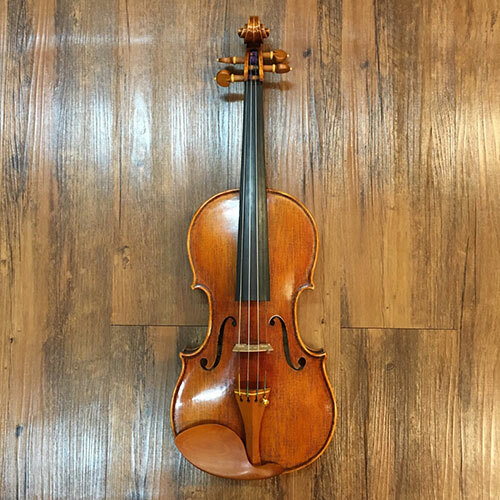 One cannot fully comprehend the stylistic and violin making development of Bissolotti without completely understanding his relationship with the great Italo-American violin maker and restorer Simone Fernando Sacconi. Bissolotti first met Sacconi in 1958 at the Violin Making School, a school which the great expert desired to visit while in Italy. The school had previously invited Sacconi to act as director in 1937 but he had reluctantly turned down the offer. This Italo-American violin maker passionately loved the city of Cremona and its old violin makers and it was precisely this love which bound the relationship between Bissolotti and Sacconi. Theirs was a deep friendship with mutual esteem and frequent collaboration. This meeting was fundamental for the development of Bissolotti who immediately understood that he was in contact with an exceptional artisan and human being. He studied under Sacconi's guidance from 1962 to 1972. In those years, he continued to improve his work and approached the mysteries of antique Cremonese violin making. He duly learnt the construction technique of the internal mould, which Sacconi had long since recovered unraveling all of its secrets. Bissolotti thus journeyed into the techniques of the past and at the same time projected himself into the future of modern Cremonese violin making. In 1962 Sacconi offered Bissolotti a job at Wurlitzer's in New York where he could perfect his restoration technique and work on the construction of new instruments. Bissolotti was not able to accept this offer. The relationship between the two continued nonetheless as Sacconi began spending his summer holidays in Cremona. From 1962-1972, Sacconi spent 45 to 60 days a year in Cremona using Bissolotti's workshop as a reference point and logistic base. In 1962 Sacconi and Bissolotti began to reorder the relics of the Stradivari Museum, then known as the Musical Instrument Museum, located on the third floor of the Art Building in Piazza Marconi. The days and months spent in the museum enabled the young Bissolotti to become thoroughly acquainted with the tools, moulds and original designs from the workshop of Antonio Stradivari and his sons Francesco and Omobono. Accompanied by the knowledgeable Sacconi, who already knew of the Stradivari relics through his master Giuseppe Fiorini (who had donated them to the Council of Cremona), Bissolotti penetrated the eighteenth century of Cremonese violin making, where the art had reached the finest levels of its history. By classifying, ordering, and restoring the relics of this mythical period, the young master came in contact with the spirit of Stradivari's workshop; he began to understand its ordered functioning, where meticulous methods and precision were almost maniacal and there was no place for carelessness, neither in the drawings, nor in the measurements. 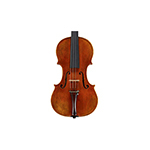 Bissolotti further understood that the master he had chosen, and who had chosen him, was revealing to him the real secrets of Stradivari, not particularly mysterious, but difficult to assimilate. Sacconi passed on his modesty, the passion for his art, as well as an almost maniacal precision. He was always open to new solutions for improving the quality of work, while treasuring the contributions of past violin makers. Antonio Stradivari possessed all of this. He was, in his own time, and still continues to be the greatest craftsman of the art of violin making. Bissolotti says, "it was in this museum and through these experiences that I understood the importance of building instruments according to the method used by the great Cremonese maker: the internal mould." Working with the internal mould requires manual, intellectual and creative ability which in turn reflects the personality of the maker. 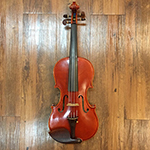 Sacconi returned to the United States in autumn of 1962 and began an intense correspondence with Bissolotti who was now teaching at the violin making school. Sacconi's explanations were always thorough, often including photographs or sketches drawn by hand with data, measurements, and comments. His love for teaching was so great that he never denied anyone. Every summer until 1972 Sacconi habitually spent his holidays in Cremona. He would plant himself in Bissolotti's workshop situated on Via Milazzo. (In 2001 the workshop moved to Piazza S. Paolo). Here he would pass many hours of the day giving advice and teaching as well as amusing himself with varnish experiments. When musicians and collectors knew that the renowned restorer was in town they would bring their prestigious instruments to the workshop on Via Milazzo, trusting them to Sacconi for small repairs or set-ups. The old master explained the life history of every instrument to the young violin makers, pointing out aesthetic and acoustic details. These years were full of unforgettable experiences, as intense as they were extraordinary. Sacconi died in 1973, but his knowledge and experience has been sown in the heart of Bissolotti, experience which the young violin maker would never have been abe to acquire on his own. Bissolotti coveted this treasure, continuing the work of the master. He recalls Sacconi's morality, extraordinary generosity, his modesty and unfailing confidence in everybody's potential and ability. After a decade with Sacconi, Bissolotti's style underwent a complete trasformation, and his work became increasingly removed from Sgarabotto's teachings. By following the method which Sacconi revealed to him, Bissolotti pays tribute to antique classical Cremonese violin making, an art which still continues to evolve. Originating from the Cremonese system and the internal mould, its only alternative is to progress, such are the possibilities and peculiarities that this construction methodology offers. Grisale Giorgio Born in 1963, and moved to Cremona in 1982 where he began his first approach in the art of violinmaking. In 1988 he graduated at the "International School of Violinmaking" of Cremona and has also gained his diploma in bowmaking having attended a course organized by the "Regione Lombardia". His professional training was completed when he graduated "The Civic School of Violinmaking " in Milano, for musical instrument restoration. He lives and works in Cremona, where he opened with Edgar Russ his workshop in via Sicardo. His instruments are now well-known and appreciated worldwide and boast a large market and demand from Japan to the United States as well as in Europe. He has acquired deserved recognition in the field of restoration and actively developed his talent by specific and deepened studies based on the forms and relative works of Ferdinando Garimberti and Giuseppe Ornati. He constructs the quartetto classico drawing inspiration from the models of the Cremonese School (Stradivari and Guarneri) as well as his own model based on and inspired by Giuseppe Ornati and Giuseppe Fiorini. Born in 1963, and moved to Cremona in 1982 where he began his first approach in the art of violinmaking. In 1988 he graduated at the "International School of Violinmaking" of Cremona and has also gained his diploma in bowmaking having attended a course organized by the "Regione Lombardia". His professional training was completed when he graduated "The Civic School of Violinmaking " in Milano, for musical instrument restoration. 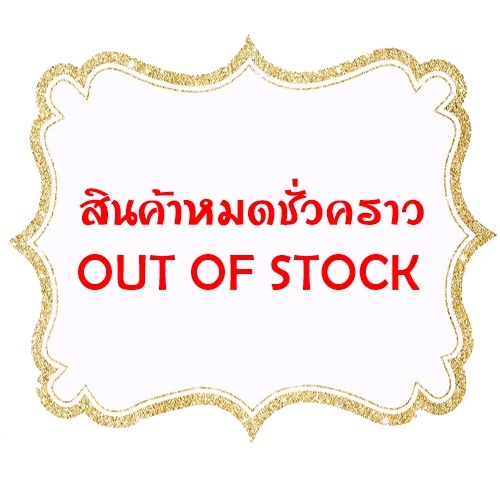 ไวโอลินอิตาเลียน Giorgio Grisales ทรง Giuseppe Onvali - Stradivariano "Sakchai Guy II"
ไวโอลินอิตาเลียนทรง G.B. Guadagnini Milano 1755 โดย Lopo Vittori The top of violin is made of the antique italian spruce from Appenni (1684-1817) The spruce have certificate of Tuscia University in Viterbo - Italy. The Grain of spruce top was very strong medium large. It is possible to observe 0.5 cm. of very narrow growing of the tree, it mean that period was very gold. Lapo Vettori was born in Fiesole in 1984 the third-eldest son of Paoloand the grandson of Dario, known as "il liutaio della montagna". Following in the footsteps of his eldest brother Dario II, he became involved in violin-making at an early age in his father's workshop. In addition to his high-school education, he studied the violin at the Cherubini Conservatory in Florence. When he was 18, he became a partner in the family workshop and constructed instruments with his own label. 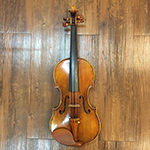 In January 2003, he passed the examination of the Commission of Professional Italian Violin-Makers presided over by G. B. Morassi, thus becoming the youngest member of the Associazione Liutaria Italiana.For the construction of his violins, he uses family models including Guarneri del Ges?, Pietro Guarneri da Mantova, Stradivari 1715, Camillo Camilli and Balestrieri; for his violas he uses the Francesco Mantegazza 1791 model from the collection from the Carlo Bisiach collection; for the violoncellos he uses the Stradivari Duport, Domenico Montagna 1733, Giuseppe Guarneri filius Andreae 1709 and other models. He has spent a considerable amount of time abroad studying and working in important violin-making workshops. 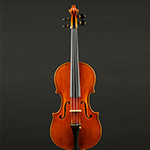 Lapo’s viola model Pietro Guarneri da Venezia received the highest score for acoustics at the 2009 XII Triennale International Violin Competition ‘A Stradivari’ in Cremona. Marcello Villa was born in Monza in 1965, and lives and works in Cremona. He began studding the violin when he was twelve, later enrolling in th International School of Violin-making in Cremona. He graduated in 1983 under the guidance of Giorgio Scolari and Stefano Conia, obtaining the highest possible merit in his final year, a scholarship from the Walter Stauffer Foundation. 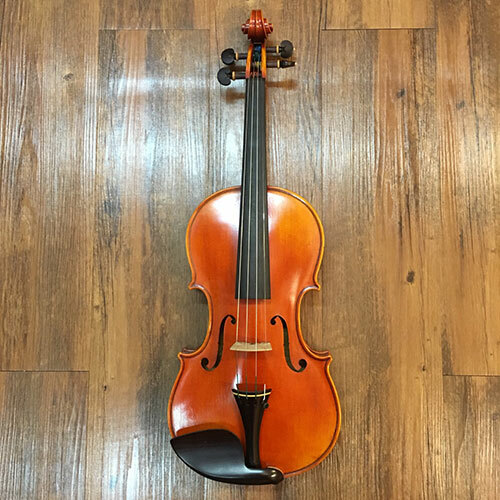 Apprenticing in the prestigious shop of Stefano Conia, he was able to broaden his experience and soon began to participate in violin making competitions, receiving his first awards. - two gold medals for violin and cello in the Bagnacavallo Exposition (1992). 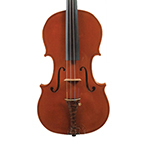 Marcello Villa makes violins, violas and cellos, particularly favouring Stradivarian models. 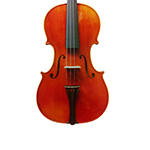 All instruments have a certificate of authenticity with colour photographs and accurate description of the instrument. Marcello Villa was born in Monza in 1965, and lives and works in Cremona. He began studing the violin when he was twelve, later enrolling in th International School of Violin-making in Cremona.